The Zimmerman brothers basically grew up on the soccer fields at The Evergreen State College. It was almost a given, however, that this would be the case as the roots to their family tree are deeply imbedded in the program. Mom and dad both played collegiately at Evergreen and later, their uncle served as head coach of the men’s team. At his side as an assistant coach was their father. There’s the oldest, Jake, middle brother, Jordan, and youngest, Alec. And if the family had a coat of arms, it would most likely feature a Geoduck front and center with a soccer ball. It was at that pavilion where older brother, Jake, participated in summer soccer camps. The same camps he now helps run. The hours playing here are countless for the trio, but on July 23 they did something they have never done before – play against each other. 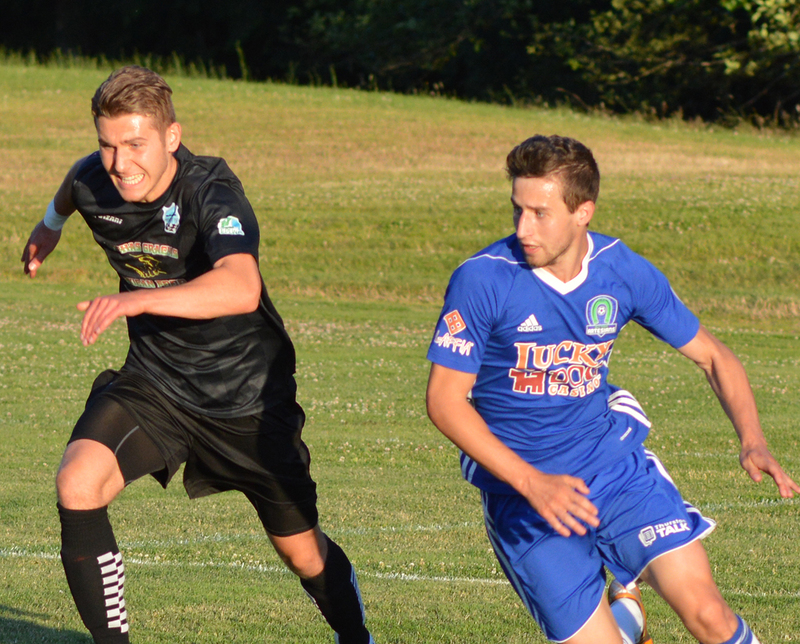 On Saturday the Oly Town Artesians hosted the WP South Sound FC at 3:00 p.m. in an Evergreen Premiere League matchup. 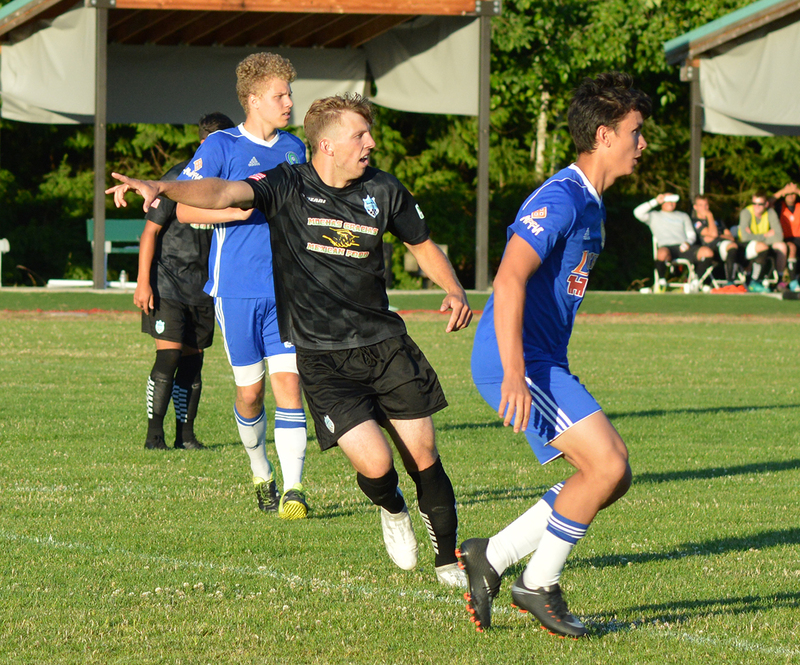 It was the first of two consecutive meetings between the two clubs as they will also close out the regular season at Evergreen on July 30 with a 4:00 p.m. start time. Jake, who graduated from Capital in 2013, and Alec, who will be a senior this fall at CHS, play for the Artesians, while Jordan suits up for the visiting South Sound FC team. The initial plan of all playing together for Oly Town actually originated with Jordan. The Artesians are members of the EPLWA – an elite adult men’s amateur soccer league affiliated with the Washington State Adult Soccer Association for college and post-college age players. The EPL, which feature eight teams, runs its regular season from early April until the end of July. It was Jordan who presented the idea of all three brothers slipping on an Oly Town jersey earlier this year. 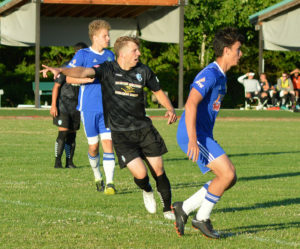 Alec (pictured) during the Artesians’ match against the Vancouver Victory will play against brother Jordan on July 23 and 30 when South Sound FC players at Oly Town. 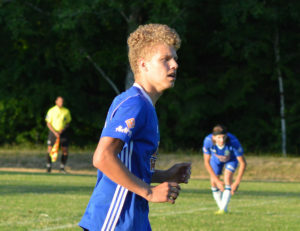 Faced with uncertainty, Jordan, who was the second-leading scorer on the Geoducks last year, eventually decided to look elsewhere as he was in the process of trying to transfer to Seattle University. “I thought playing up in Tacoma would give me better exposure to (the Seattle University) coaches,” Jordan said. Unfortunately, after Jordan turned his attention north, Jake and Alec’s engagement on playing for Oly Town increased significantly. “We ended up more committed than we initially thought we would be,” Jake said. However, that in itself created a new experience for the brothers as Jake and Alec had never taken the field together as teammates. 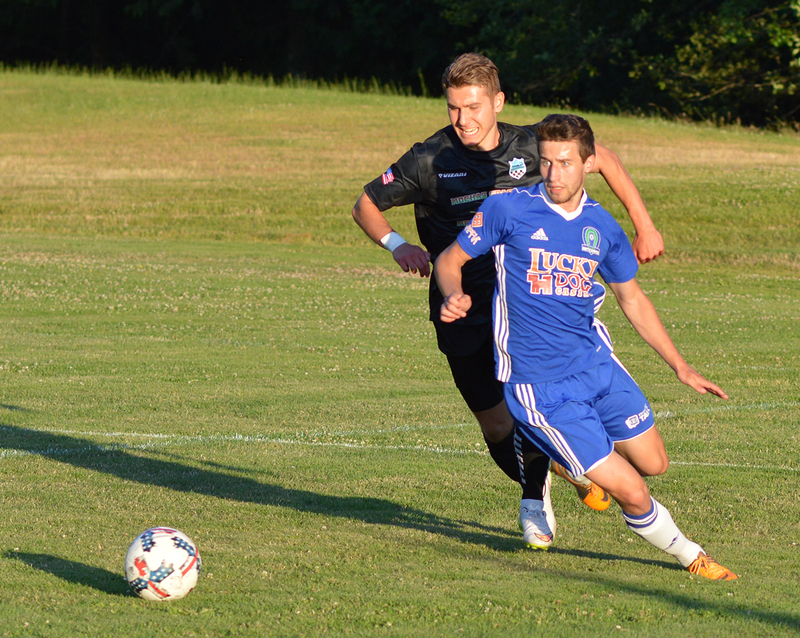 That changed a few matches ago when they both stepped on the field as Artesians. 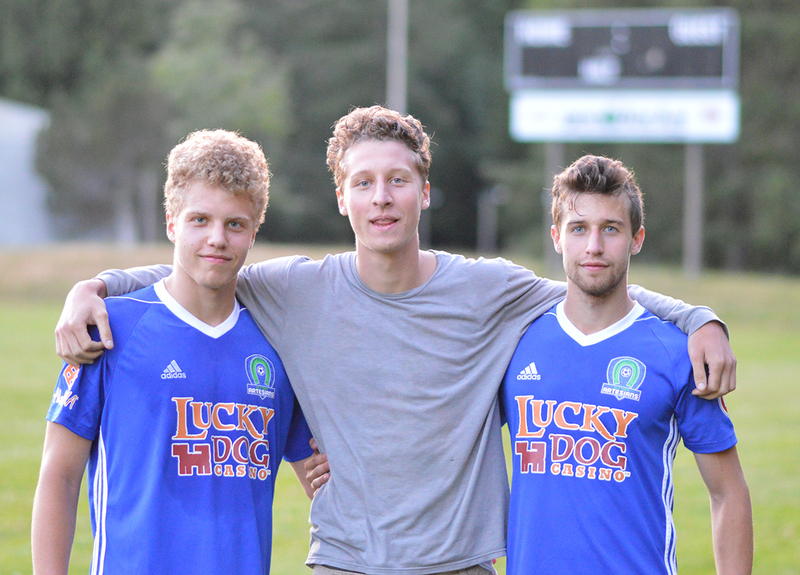 As this EPL season ends the three are already looking forward to next year with the renewed possibility of all playing for the home town Artesians.